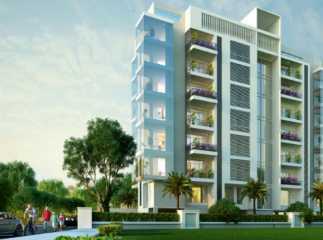 Property in Bangalore is one of the best real estate markets to rely upon. Quality education, cosmopolitan culture, rapid urbanization, and an expansion of city limits are some of the factors that have attracted even the NRI’s to park their hard-earned savings in the city and earn handsome returns over a short period of time. Being the IT hub of the country, it has emerged to be the most sought-after residential destination. Over the last few years, there has been an influx of people who relocated to this place for one or the other reason. Bangalore is considered to be at par with big cities like Delhi and Mumbai in terms if realty development. The city is divided into north, west, south, east, and central zones. Talking about the Central Bangalore, it is the heart of the city and covers a massive area. The area is very famous as it is a hub of several popular residential and commercial developments, food joints, colleges, hospitals, and city centres. The area is also well-known for its tourist spots like Kempambudhi & Ulsoor Lake, Botanical Garden, Lal Bagh, and many other historical temples and monuments. It flaunts several reputed educational institutions, shopping centres, government offices, hospitals, etc. Well-connected to major destinations of the city via metro and roadways, the area allows easy access in all directions and boasts of an excellent infrastructure. Its easy accessibility and connectivity makes it one of the densely populated areas of the city and the demand for property in Central Bangalore is growing by leaps and bounds. The main localities included in central Bangalore are Banashankari, Indira Nagar, Adugodi, Chickpet, Basavanagudi, Shivaji Nagar, R.T. Nagar, and Rajaji Nagar. · Indira Nagar, located in the heart of the city is a favorite locality of Bangalore. Rapidly developing into one of the busiest commercial zones of the place, it is a hub of several reputed eateries, leisure, and retail outlets and is emerging to be the most preferred residential locality too. Its easy connectivity and the horde of entertainment options make it an ideal place to live in. · Banashankari is one of the city’s biggest residential areas that is famous for its beautiful and historical temples. It is well-linked with everything important in the city, and is a home to several reputed schools, colleges, shopping malls, and BDA parks. · Basavanagudi is another oldest suburb of Bangalore that has city’s several cultural and historical icons. It is a perfect paradise fondly visited for its large rain trees, old temples, and quaint houses. Cultural institutes like Indian Institute of World Culture Library, shopping streets like DVG Road, Gandhi Bazaar, parks like Bugle Rock and any other popular places make the area a great place to live in. · Ulsoor is another notable residential area that has a huge array of reasonable properties. It is buzzing with a lot of tourist activity owing to its ancient architecture, historic temples, and the famous Ulsoor Lake. Many top developers like DLF, Godrej Properties, Radian Realty, Unitech Developers, Kumari Builders & Developers, and Shapoorji Pallonji Developers are coming up with their landmark projects in Central Bangalore.